Photo Credit: Submitted/Tom Martin - Lucas Pencak makes a run during a recent ski event. Things have really gone downhill for Lucas Pencak during his senior year at Mount St. Joseph Academy in Rutland, but that’s just the way he likes it. Lucas is one of eight members of the MSJ Ski Team, competing in slalom and giant slalom events. A senior at the Catholic high school, he has goals for himself on the mountain and for life after graduation. The ski team practices two to three days a week for approximately two hours at Pico Ski Area. There, they run gates practicing for slalom and giant slalom races on the training trail. 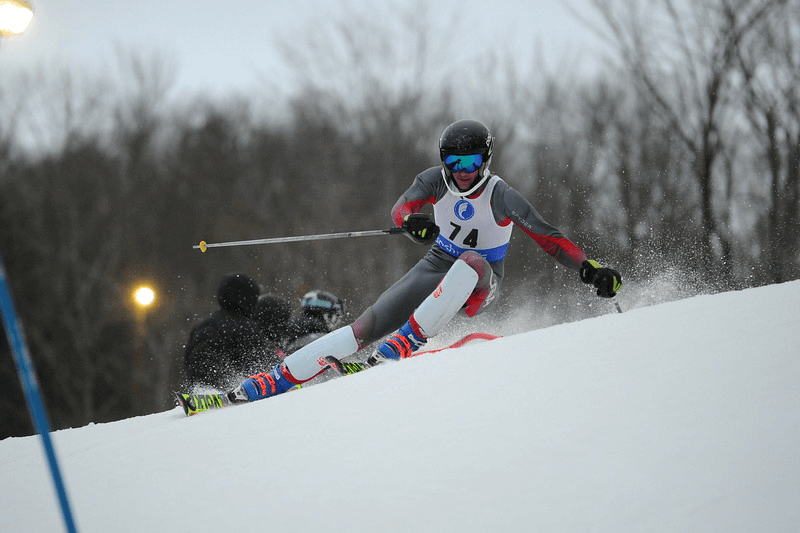 The team runs a total of 10 races, which includes six regular season meets as well as a slalom and giant slalom race in each the district and state meets. Lucas said the team’s goals this year are to be competitive with larger schools throughout the season and to qualify for the state meet, which they accomplished last year. Lucas is planning to attend University of Vermont to study business administration. —For the full story, click here.